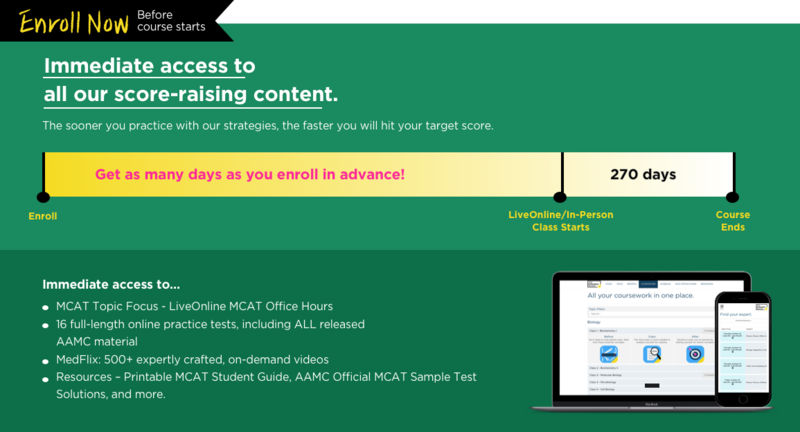 Ultimate, our most popular MCAT course, was designed for students who want a comprehensive review of all content on the MCAT, in addition to strategies and practice. Learn in a classroom with other like-minded students as you get ready for test day. 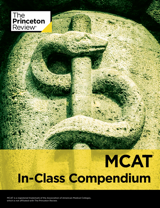 Our most popular MCAT course. 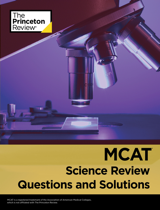 Comprehensive review of all content covered on the MCAT plus strategy and MCAT-style practice questions and passages. 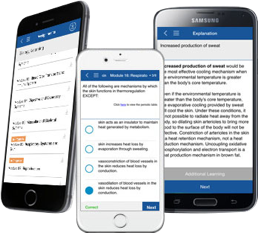 Learn in a classroom with like-minded students and get ready for test day. understanding of the content they’re teaching rather than put you in a classroom with one generalist instructor. We help you learn rather than expecting you to teach yourself difficult, complex, MCAT-level concepts. So whether you’re studying fatty acid oxidation, sound waves, or nucleophilic substitution, you’re actually learning from an instructor who studied and mastered the material they’re teaching. The instructors were amazingly wonderful—both knowledgeable and approachable, which is exactly what I needed. 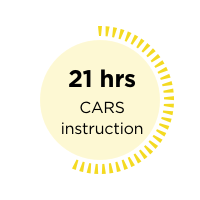 123 hours of live content and strategy instruction. There’s no such thing as being too prepared for the MCAT. Super-skilled teaching and a major arsenal of freestanding and passage-based questions empower you every step of the way. Available in person and online. Immediate access to online tools upon enrollment. 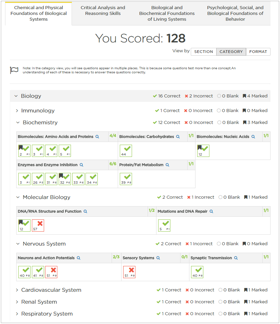 Improve your MCAT score by 10 points or score a 510+, guaranteed. 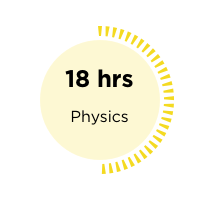 Complete your Study Manager Missions for ultimate results. 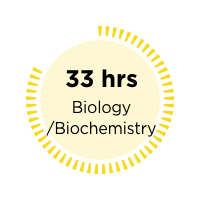 Exclusive access to MCAT Topic Focus (valued at $399) - Only for 510+ Guarantee students. 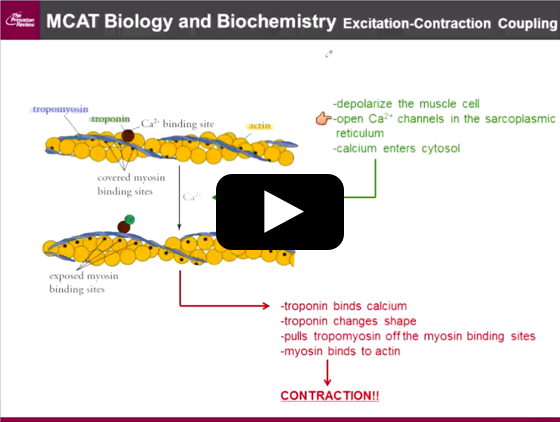 Start your journey to MCAT® success! Tackle It with a Team! 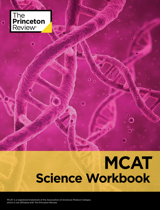 Introducing your MCAT “A Team,” a collective of subject-matter experts with a deep understanding of what it takes to get you a higher score. 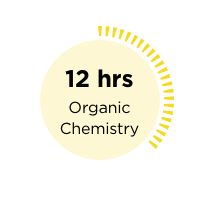 Masters of MCAT content and strategy—and experts in their respective fields—our instructors will help you conquer fatty acid oxidation, nucleophilic substitution, quantum physics, and all the other challenging, complex topics bound to crop up on this high-stakes exam. Apart from our instructors, practice is the best teacher! 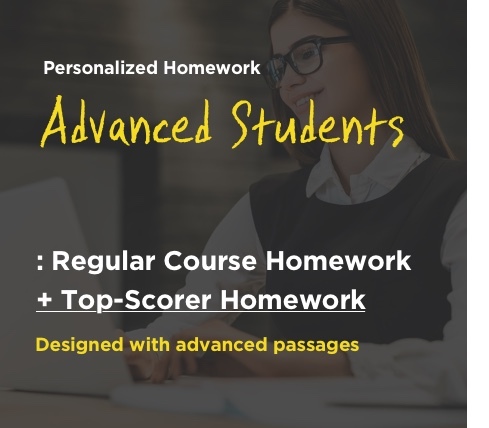 Passage-based questions are all about strategy, and we offer a magnitude of drills accompanied by detailed explanations: You'll either lock in learning when you get it right, or learn from your mistakes. Wherever you need a detailed review, we’ve got you covered. 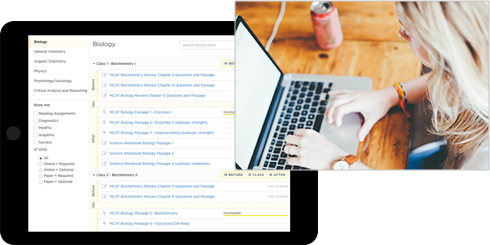 In addition to the in-class compendium, we include ten more titles that cover all tested topics. See your score improve rapidly! 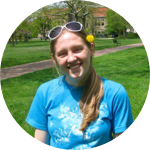 What are the Study Manager Missions? you get your full money back. Guaranteed*. Come on board! Every student is eligible. 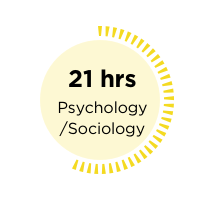 Improve your weakness with 12+ sessions a week that focus on MCAT topic. 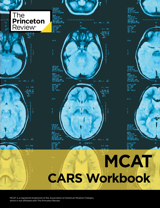 Sessions specifically designed to quickly eliminate a specific MCAT area of weakness. You won’t just prep with one instructor, you’ll learn from a team of subject matter experts. 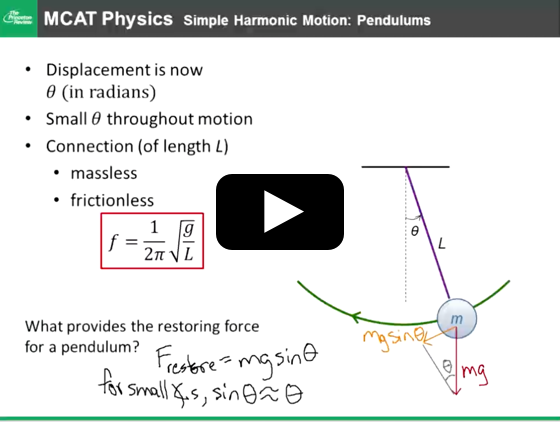 Q: How does the guarantee work for MCAT Ultimate with MCAT 510+ Guarantee? A: If you choose to withdraw your enrollment in MCAT Ultimate within 7 days after enrollment, but at least 21 days before the start of your program, we will provide a 100% refund of the tuition you have paid. No refunds will be given after the start of your program, and shipping costs will not be refunded. Please see our terms and conditions for all the details, including refunds for withdrawals in other time frames and the requirement to return materials.